Go to…Home About Us	-About Us	--Croyde Coaches --Sussex Coaches -Contact us	--Croyde --Sussex Office Before you arrive…	-Before you arrive… -Basic Techniques -FAQs BOOK NOW Other Locations	-Sussex	--Sussex Coaches --Sussex Bookings -Join us! THE PARTICIPANT OR THE PARENT/GUARDIAN OF THE PARTICIPANT (IF HE/SHE IS UNDER 18) MUST READ THIS STATEMENT IN ENTIRETY. BOOKING A SESSION IMPLIES ACCEPTANCE OF THESE TERMS AND CONDITIONS. Beach Volleyball is a very strenuous activity and the risk of injury exists. Common examples of injury are sunburn, impact injury (with other players and equipment), as well as traditional sports injuries such as ankle injuries (can occur from uneven sand). If you need a better understanding of these risks, please contact us prior to completing registration to determine if this program is the right fit for you. Beach Volleyball School accepts no liability for any injuries suffered during the sessions. You are also giving consent that Beach Volleyball School may take photos of the participant and use them for marketing purposes. 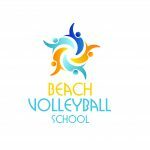 You accept that Beach Volleyball School cannot offer refunds of any kind, and that in the event that you have to cancel your course within 24 hours of its commencement, Beach Volleyball School may not reschedule you to a different session. Your email will also be added to a Beach Volleyball School mailing list. You can opt out of this at any time.